LIFEPOWR A3 Portable charger powerbank type-c USB-C LIFEPOWR A3 on IndieGoGo just launched and reached 72% of their goal in 4 days! ANTWERP, BELGIUM: Belgian energy company LIFEPOWR has just launched the LIFEPOWR A3 on crowdfund platform IndieGoGo. It’s the world’s first powerbank to fully integrate the new USB-C Power Delivery technology up to 100W. Up until now, other powerbank manufacturers have only managed to integrate USB-C up to 30W. USB-C is the new standard connector, making other chargers and cables obsolete. Besides two USB-C PD ports, the A3 also features a standard 120W AC outlet (! ), two USB-A ports and Quick Charge 3.0 technology. The LIFEPOWR A3 is quickly gaining funds on IndieGoGo. After the first 24 hours of campaigning the A3 was already funded for 30%. LIFEPOWR needs to raise at least 35k to be able to go into production. 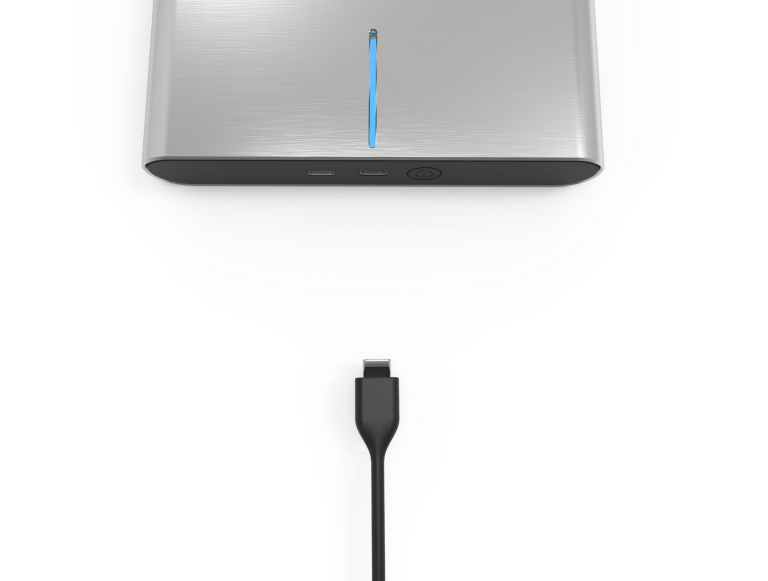 It’s compatible with other technology standards like Thunderbolt 3, USB 3.1 and Power Delivery, resulting in faster data rates and a bigger power transfer. It’s bi-directional; it can send and receive data and power. The campaign will last one month, after this, the A3 will enter its final development phases and go into production. It is expected to be delivered to the backers in November 2017.